Last week was a much-needed rest from the chaos of life. It was a week full of sleeping in, cooking up new recipes, play dates for the kids (and me) and just all around relaxing. It gave me a glimpse of what summer will be like, and I liked it! The only downer was that it was spring break and it felt like winter break. Remember these pics from our February ski week? Well, there was none of that going on over this past week. We were in our winter garb and raincoats until Saturday. When I took this picture of the salmon above, the wind was gusting, it was 50 degrees and the parsley leaves were blowing everywhere (I took this photo outside on my deck). This is the best shot I could get as I wanted a somewhat warm dinner. 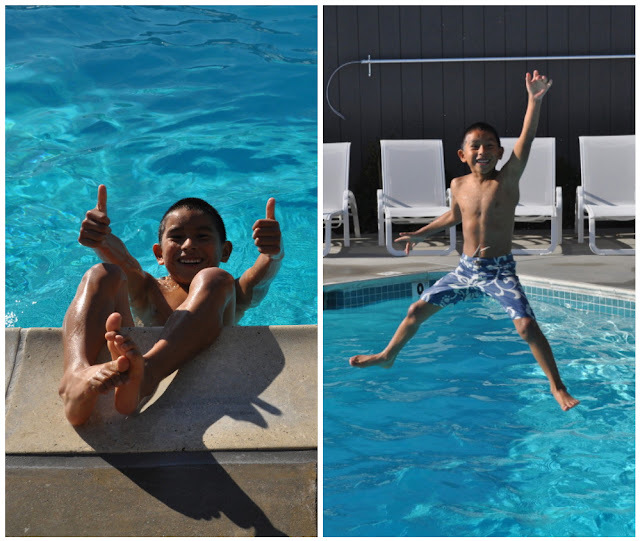 Saturday gave us a taste of summer though as the sun came out and the temps climbed up to the low 70’s. We opened up the grill in celebration and grilled up some amazing chipotle shrimp tacos (recipe to follow Thursday). The kids played outside till it was dark and we even contemplated going to Sausalito for ice cream cones, but unfortunately we were to stuffed from dinner to make that trek. I know, to stuffed for dessert, who are we? fresh herbs to top such as parsley, dill, mint or chervil – I used parsley as that is what I had in the house. My girlfriend made this and used dill and loved it. I actually made the sauce in the afternoon and refrigerated it, so it’s a great make-ahead sauce. In a small saute pan, heat 2 tablespoons oil over medium heat and add the almonds, stirring until they become fragrant, 2 to 3 minutes. 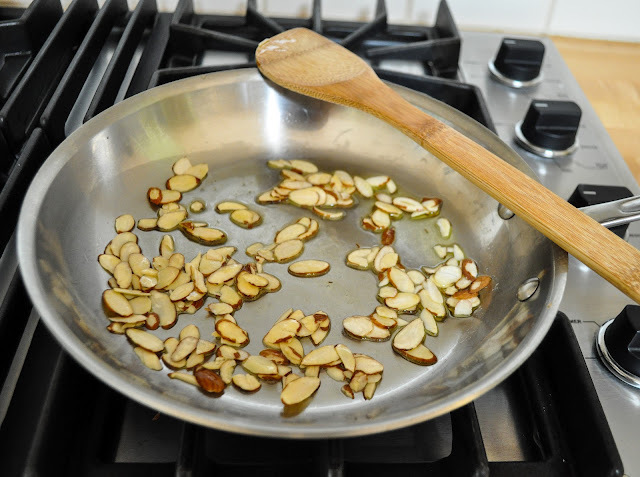 Transfer almonds and oil to a small bowl to cool, then stir in the tablespoon lime juice and season with salt. 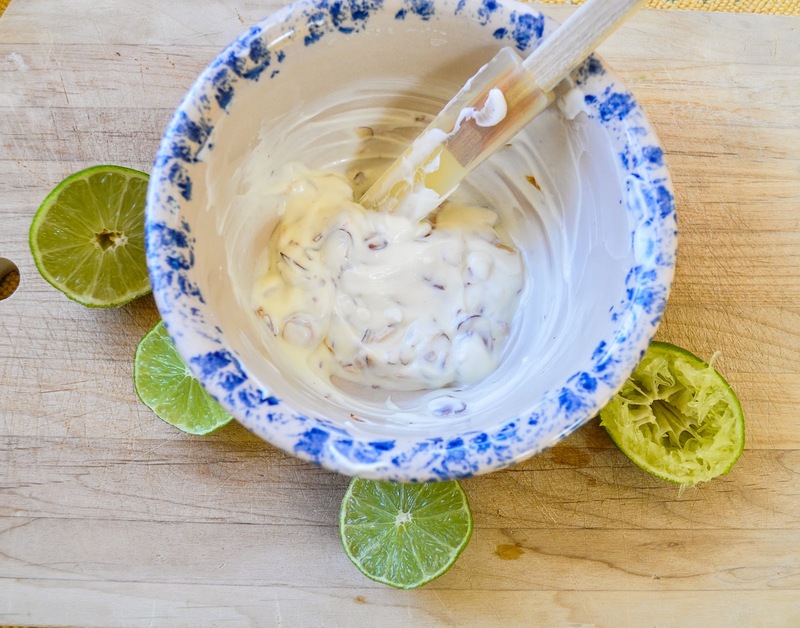 Mix in yogurt until fully combined. Chill the sauce (covered) until ready to use. Cook your salmon your favorite way. We like to either grill our salmon or broil it. I broiled it for this recipe as it was raining outside. To serve, dollop each fillet with the yogurt sauce and sprinkle with the diced shallots and herbs. This is the perfect dish to serve up at dinner or brunch as the salmon tastes great hot or cold topped with this sauce. You can make the sauce ahead of time and refrigerate it till needed. 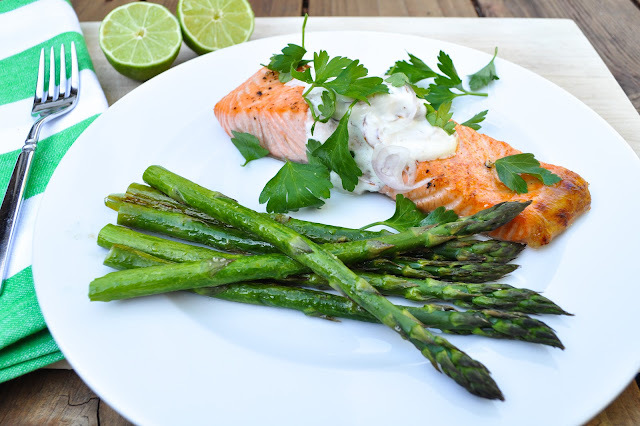 Salmon is such a quick, healthy and easy weeknight meal to serve up. 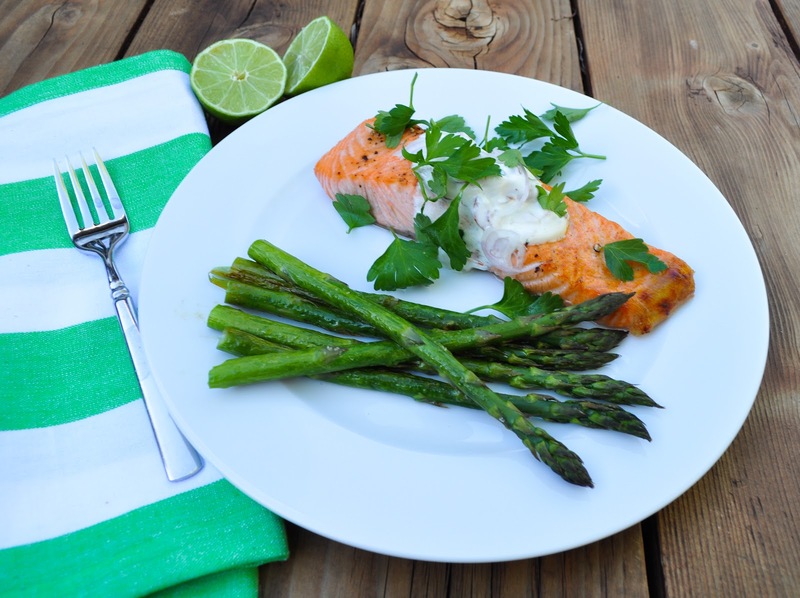 Do you broil, bake or grill your salmon? Another fantastic recipe! Easy, but more importantly, absolutely delicious. Your taste buds totally jive with my taste buds and I love trying ou what you post! Thank you for sharing another keeper! Your pic’s are gorgeous Jackie – the bright colours are perfectly matched for such a fresh and healthy dish. Im also a recent convert to sauces – they do make all the difference. My current weakness (or quick, cheap trick) is the wild salmon burgers from Trader Joes – I just pop them in the toaster oven for mega Omega 3 hit. HOWEVER they are lacking a bit in the taste department – they are fine, but they do need sauce – so this is ideal. I think I’d probably make with dill too as I’m crazy for the stuff! See you Thurs! 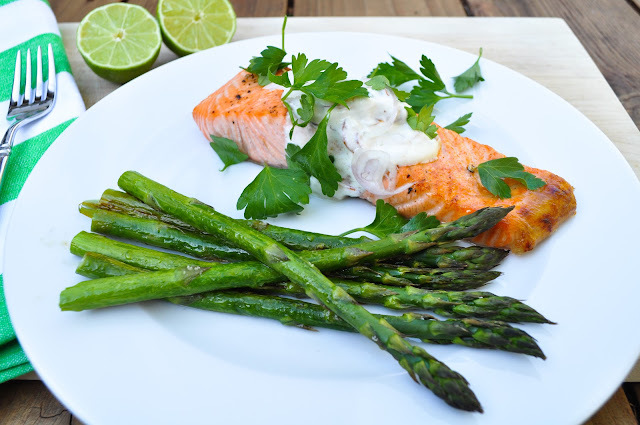 Salmon with asparagus is definitely one of my favorite dishes but I never tried the yoghurt sauce with the almonds! It looks so fresh, healthy and tasty! I usually eat my salmon plain but this sauce really adds a wonderful flavor to the salmon. I hope you enjoy it!